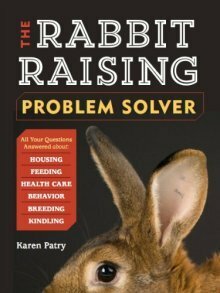 Can a female have a kit 5-6 weeks after having a litter? My two pet rabbits (supposed to be two girls) one had a litter about 5/6 weeks ago. Sadly none survived. I was not prepared for it as I assumed both were girls. So that day I separated them. He's now in a hutch about a foot away, yet this morning she had another kit not sure if alive as it sadly must have wiggled out of the hutch and I found the dog eating it. How can she have another kit 5/6 weeks after having a litter and being separated from the buck? Any answer to this question gratefully received. Here's what most likely happened. The doe and the buck rebred the minute the other kits were kindled. You separated the two, but the doe was already pregnant. Usually rabbits kindle on day 31 or 32 after breeding. But rabbits can, to an extent, determine when they wish to kindle, meaning, if she doesn't have everything she needs, she might wait for a day or two or three, until she cannot wait any longer.